She is not the only one. 80% of congregate meal participants surveyedby the National Association of Nutrition and Aging Services Programs said they had more friends after joining the program. Cardiovascular disease is prevalent in our society, disproportionately impacting older Americans. According to the American Heart Association, more than 85 million American adults have one of more types of cardiovascular disease. Of these, more than 43 million (approximately half) are age 60 or older. Across the country, ACL partner organizations are hosting educational events in recognition of American Heart Month. In Georgia, Open Hand Atlanta offers a tailored nutrition-focused heart health class at local senior centers throughout the month of February. In Utah, Salt Lake County Aging and Adult Services is promoting American Heart Month by providing opportunities for blood pressure screening and a heart health presentation in each of their 16 senior centers. Additionally, the senior centers are encouraging older adults to attend at least three physical activity programs, including evidence-based interventions such as EnhanceFitness, Tai Chi for Arthritis, and the Arthritis Foundation Exercise Program. And in New Jersey at the West Windsor Senior Center, older adults can participate in carotid artery and blood pressure screenings, as well as ongoing physical activity programs. ACL also supports the delivery of evidence-based chronic disease self-management education programs (CDSME) in communities across the country. CDSME programs provide older adults and adults with disabilities with education and tools to help them better manage chronic conditions, including cardiovascular disease. More than 383,000 individuals have participated in these impactful interventions since 2010. The most common chronic condition reported by program participants is hypertension (41%), and one-third of participants reported having high cholesterol. Further, 13% of participants reported a diagnosis of heart disease, and 5% indicated having had a stroke. Finally, the Carter Burden Network, one of ACL’s Innovations in Nutrition Programs and Services grantees, is addressing the high cardiovascular risk of uncontrolled hypertension among older adults by testing a multi-component intervention that includes the DASH Eating Plan. Visit healthfinder.gov to learn how you can spread the word about American Heart Month. Update the National Voluntary Consensus Guidelines for State Adult Protective Services Systems on the 2-year schedule established at launch, create a dissemination plan for the guidelines, and produce a research agenda to build a stronger evidence-base of best practices in APS. Design and implement an APS client outcomes study evaluating how various micro-, mezzo-, and macro- system components impact APS client outcomes. Create an inventory of screening and assessment tools used by APS and others to screen for elder abuse, and assess each tool’s level of validity. The investment is the result of a partnership between ACL’s Office of Elder Justice and Adult Protective Services and ACL’s Office of Performance and Evaluation. This work will be carried out by New Editions Consulting, Inc. (a woman-owned small business), and is part of ACL’s ongoing commitment to support the development and evolution of APS systems, and to strengthen APS’ capacity to address the abuse, neglect, and exploitation too often faced by older adults and adults with disabilities. These projects further ACL’s vision for older Americans and people with disabilities to be able to live where they choose, with the people they choose, and fully participate in their communities without threat of abuse, neglect, or exploitation. Visit the Protecting Rights and Preventing Abuse section of the ACL website to learn more about these efforts. 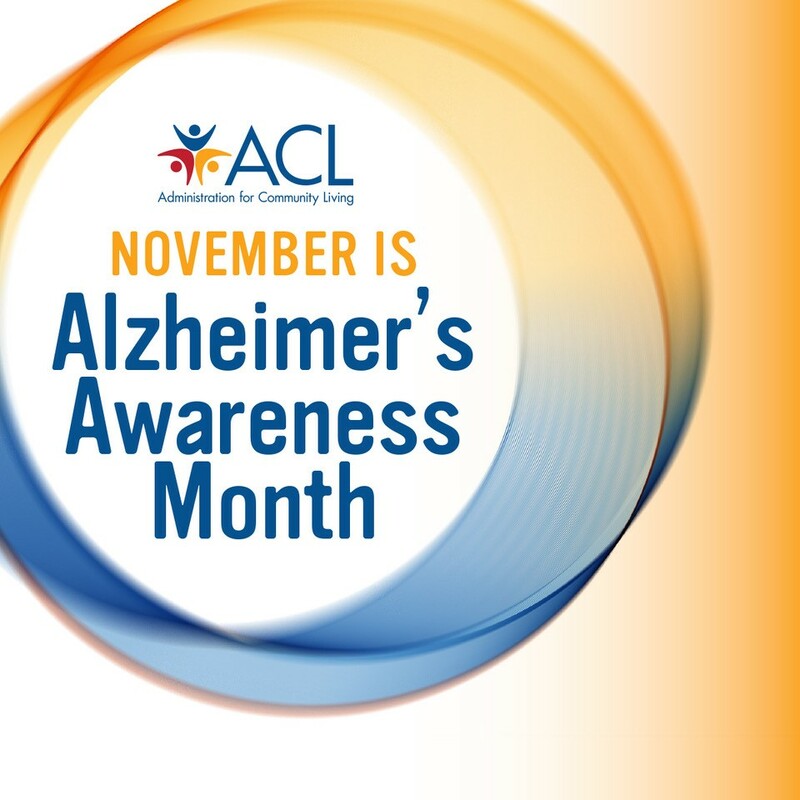 November 2018 marks the 35th anniversary of National Alzheimer’s Disease Awareness Month. In the 35 years since the original call to build awareness of the disease, we have learned a lot about people living with Alzheimer’s disease and related dementias (ADRD) and caregiving. 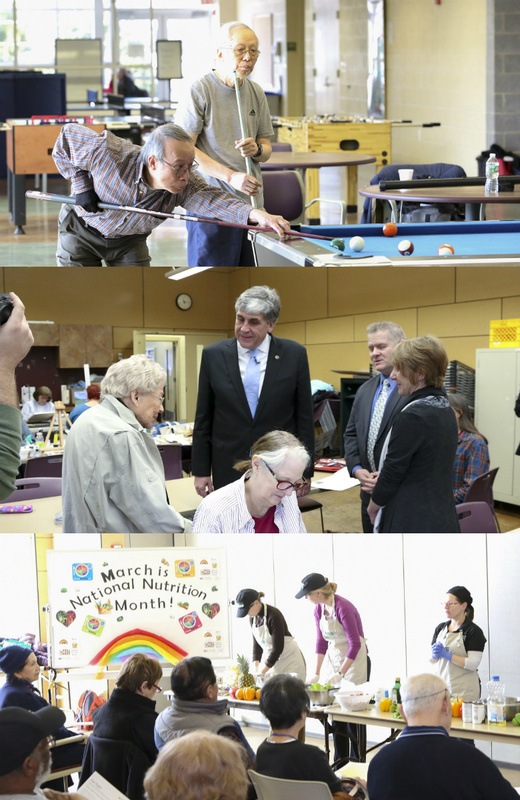 The Administration for Community Living continues to advance the dementia capability of states and communities through its grant programs and the work of the National Alzheimer’s and Dementia Resource Center (NADRC). Each year the NADRC develops resources to support grantees and the general community in their work with individuals living with Alzheimer’s disease and related dementias and their caregivers. Disaster Planning Toolkit for People Living with Dementia is written to help people living with dementia, their family members, and their caregivers understand what to expect in the event of a disaster and how to prepare for it. The toolkit is made up of seven tip sheets and checklists for persons living with dementia, their families, and others who interact with them, including friends and neighbors. Handbook for Helping People Living Alone with Dementia Who Have No Known Support provides practical guidance as well as tools for helping a person living alone who does not have informal supports, including people with dementia who have a caregiver that cannot provide support. The handbook includes practical strategies for identifying people who are living alone without support, assessing risk, building trust, identifying family and friends willing to help, determining decision-making capacity, options for helping the person maintain their independence, and the basics of guardianship or conservatorship. Working Together: How Community Organizations and First Responders Can Better Serve People Living with Dementia helps community organizations collaborate with first responders to better serve people living with dementia, a need increasingly recognized by first responder agencies. This guide explains why this issue is gaining attention, provides strategies for building successful partnerships, and describes the types of programs that can benefit people living with dementia. Also included are resources such as training materials, sample policies, tip sheets, and more. ACL has awarded a supplemental grant for $70,000 to the National Ombudsman Resource Center (NORC) to address two critical issues in long-term care facility settings, involuntary discharges and opioids. First, this supplemental grant will provide technical assistance and training to a group of Long-Term Care Ombudsman programs on individual and systemic approaches to remedy one of the most commonly reported problem nursing facility residents bring to Ombudsman programs – involuntary, facility-initiated discharge. The participating Ombudsman programs will convene in a learning collaborative along with designated legal assistance programs serving the same geographic areas, to engage in peer-to-peer learning, and in-depth training and technical assistance to develop complaint advocacy and legal tools. The strategies and tools developed through this project will serve as a resource for all Ombudsman programs. The second prong of this grant will fund a short-term project to better understand long-term care facility residents’ experiences with pain management. This will include an examination of the use of opioids, causes and results of opioid misuse, and how drug diversion, and other consequences of opioid misuse by others, can impact residents. Obtaining the perspective of people living in nursing homes and residential care communities will be an integral part of this project. Ombudsman programs play a critical advocacy and complaint resolution role in support of people living in nursing homes and residential care facilities. The programs address residents’ rights, care, and services. The NORC has a long history of providing training, technical assistance, and program management expertise to state and local Long-Term Care Ombudsman programs. It is a Hot Summer This Year – Tips to Stay Safe!